Stone Design Corp is located in beautiful Albuquerque, New Mexico, and was founded in 1984 by Andrew C.Stone. Our mission is to develop low cost and easy to use software for the iPhone, the iPad and the Macintosh. Stone Design developed a variety of productivity applications for Apple Inc.�s revolutionary operating system, Macintosh OS X. As early adopters of Mac OS X�s precursor �NeXTStep� from Steve Job's company NeXT Inc. in March 1989, Stone Design�s principals embraced the new object technology of the NeXT Computer. Stone Design was the first independent software house to ship a shrink wrap product for the NeXT Computer with "TextArt�" in October, 1989. TextArt was a type manipulation program which put the power of Display PostScript at your fingertips with knobs, dials and sliders. By 1990, TextArt had evolved into "Create�", a full blown drawing application. Version 1 of Create� shipped in October, 1990. Simultaneously, Stone Design developed a friendly multimedia database manager, DataPhile�, which first shipped in April 1991. Create� and DataPhile quickly became very popular in the NeXT community. Stone�s next product was 3DReality�.3DReality is a 3D modeling and rendering package which uses Quick RenderMan and the photorealistic rendering of RenderMan. To round out its productivity suite, Stone Design enhanced and published Andreas Glocker�s "CheckSum�" in 1995.CheckSum is an easy to use check writer and personal finances application. In late 1995, Stone Design made the transition from NEXTSTEP to OpenStep, the precursor to Mac OS X Server. One of the few developers which never turned away from this technology, Stone Design ported Create� to OpenStep and shipped Create� on Windows 95 and Windows NT, OpenStep for MACH, and OpenStep for SOLARIS. And it�s full circle back to Macintosh with Create��s latest incarnation, version 10, which runs on Mac OS X. As testimony to the cross-platform nature of the Cocoa, Create� was recompiled on the Power PC, and it ran perfectly. This version can layout books, publish to print or to the web, as well as produce high end vector graphics and perform traditional desktop publishing. Most of the Stone Site was created by Create�! PhotoToWeb� - slideshows & photos direct to Web! PStill� - convert PS/EPS to PDF, chain PDFs, redistill PDFs. In order to let users take advantage of these 7 applications at one low cost, we created the Stone Studio� - a sweet bundle of these apps. Even sweeter for 2007 - Stone Works - 16 applications, a screen saver and a widget! By the 10th of January 2006, 5 minutes after Steve Jobs announced Mac on Intel, we shipped all 14 of our apps as UNIVERSAL binaries which run natively on both INTEL and PPC. Spring 2006 brought new innovation and new ideas to the planet with the advent of Videator�- Movie Magic for Mere Mortals! Now, anyone can make movies with eye-popping effects. January 2011 brings Videator� to the Mac App Store. And we kept on innovating! XaoS - Videator Enabled; - awesome fractal generator that feeds Videator! Stone Works - 16 applications, a screen saver and a widget - all for one low price. 2008 became the year of the iPhone as Stone Design, using the Big Stone Phone label, delivered three powerful applications on the day the App Store opened it's digital doors: Twittelator�, iGraffiti� and TalkingPics�. With so much success, we could not possibly stop! 2009 brought more apps: a painting on photos app Gesture, and two sound recording apps: MobileMix and SoundBite. And we released a free strobe light Pulsar and a cool Art collection of iPhone made paintings with iCreated. We created a lightweight twitter client that lets you channel surf Twitter: TweetTV and a Dadaist oracle named Intentionizer. 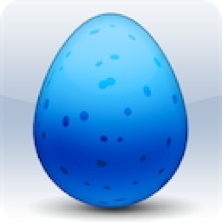 2009 also saw many accolades for Twittelator Pro, including being one of Apple's Hottest Apps. Developers new and old can read over 25 articles by Andrew C. Stone on Cocoa programming and here's Andrew's bio and his wikipedia entry.